Baba's help to me spiritually consisted of direct oral advice or symbology in matters of dakshina etc. Once he told me "As you sow so you will reap". On another occasion, he said looking at me. "We must serve the guru". He did not however, give me any mantropadesa I had already in my twentieth year received that from a guru, and had uttered it for the prescribed period of 12 years and more. Baba's teachings were mostly on moral questions and conduct. He once said amidst a group of listeners "We must see (things) for ourselves. What good is there in going about inquiring of this man and that man for his views and experiences?" At the time this was said, there was a man amongst us who was going about asking people, 'Is Baba a Siddha? Is he an avatar purusha?' etc. Baba evidently deprecated such inquiries when the inquirer had the opportunity of directly facing Baba, getting into contact with him and then deciding on every question for himself with more certainty than could be obtained from reports of others' experiences and views. Baba strengthened my faith in him by showing me his antarjnana, (i.e.) knowledge of every fact without being told of it or having direct sensual experience of it. Once I sat before him with only Rs.3 in my pocket. That was all the sum I had for my household expenses. Baba was seated along with Kaka Dixit, Nana Saheb Nimonkar at the time and he had asked me, "Mala Chaar Dyave". I doubt if he said Rupee. But, I took it that he wanted Rs. 4 dakshina and took out my Rs.3 and placed it before him. Kaka looked at me suggestivety as much as to say, "Why give only 3 when 4 was asked for?" Baba at once answered, "Where are 4? There were only 3". Baba knew the exact state of my pocket. As he knew also my straitened circumstances, the demand for 4 seemed to indicate his desire that I should develop resignation to fate, to face utter absence of pecuniary resources with confidence on him, of course to remedy matters, when he thought fit, and to part with the last pie cheerfully when ordered by him to do it. Here is another instance of his order depriving me of the last pie in my possession and leaving me absolutely helpless to meet domestic responsibilities coupled with his exhibition of his antarjnana. It was a day in Ashad 1917. I sat in the Sabha Mantap some 20 feet away from the main mosque where Baba sat. One Varde was talking with him. Varde told him that he wished to perform "Satyanarayana" there and wanted permission. Baba accorded permission. Then Varde said he had no funds to perform it. Then Baba pointing to his finger to me said to Varde, "Go and ask him." Varde came to me and reported that Baba had asked him to ask me for money for the expenses of Satyanarayan pooja to be done there. Varde I knew barely as a devotee of Baba and was hardly anything more than an acquaintance. But, when he said Baba told him to get money from me, I at once agreed and asked him how much he required. Fancy what his reply was. He just asked for Rs. 2-5-0. That was the exact sum that I had in my pocket and constituted my entire resources. This thought of asking for the entire amount with me must have been Baba's lila. I gave him the 2-5-0 at once. Then, Varde set about getting the necessary materials and made all the requisite arrangements. He brought small plantain plants and set them on both sides of Baba, to make a chappar or pandal and tried to use Baba himself for the God Lakshmi Narayana or Satya Narayana that has to be worshipped at this pooja. Baba objected and asked him to have his usual images or pictures and place his plants round them. But, Varde and other devotees went on insisting that Baba should himself act as the Satya Narayana and Baba ultimately yielded. Then, Satya Narayana Pothi was being read in the mantap below, while I sat with one or two by Baba's side in the mosque itself. My mind was very soon at war with itself and I was much perplexed. I love to hear Satya Narayan Pothi. But, Baba's own personality and neighbourhood - that was a great fact - and I could not decide which I should prefer. Again, I was hearing Pothi sitting up above the level where the reader of the Pothi sat. To sit on a higher level is improper for the hearer. So what should I do? I was greatly perplexed in my mind. Baba evidently read the conflict in my mind and told me suddenly: "Go down and sit there" (i.e.) in the lower level, close to the Pothi reader. Baba made the selection for me when I was unable to make it for myself. Baba once showed us how concerned he was to save poor dumb creatures from unnecessary molestation; how powerful he was to cure serious ailments of such creatures and what a refuge or sanctuary he was to all creatures. I was on the veranda of Dixit Wada at Shirdi, one day. I saw a strange sight. Big dogs were running away from and being chased by a small white dog. It was clear that the small dog was rabid and that the bigger dogs were afraid of its bite. The villagers then took sticks in their hands and pursued the small dog with a view to smash it to death. When this chase was going oh, I had moved on to the Mosque. The chasing party came up there. Suddenly, the small white dog ran up the steps of the Mosque and stood behind Baba. It seemed to feel that Baba was its sanctuary and that its assailants dared not attack it there. This indeed proved to be the fact. The men stood at a distance and waited for the dog to come out. Meanwhile, Baba abused them vigorously for their heartless cruelty to a poor dumb creature. They explained that the dog was mad and that it should be killed. He abused them the more and asked them to get away. Myself and Dr. Pillai were at the Mosque, fairly near Baba and the dog, and we were assured that the dog was mad and felt that we were in dangerous proximity to it. But ultimately the men went away and the dog was saved. I said then to Pillai that Baba had evidently, out of consideration, cured the dog and saved its life. Baba, of course, knew the exact situation in respect of the dog, its rabid state, its possibilities of cure, and the way to save it. I am a worshipper of Sai Baba for the last 44 years or so. I went to see him at Shirdi 20 years before he expired. You see here (in this bungalow) he is the God that I worship. I still retain a good quantity of the udhi which he gave me each day with his own hand in small quantities and this I have carefully preserved as it has great virtue and potency. I have also this sacred tayath enclosing Baba's tooth, which he gave me as a memento. I have had deep devotion to and powerful response to my devotion from Sai Baba. When I went to him about 1898 (? ), the present masjid had not been built, nor the Wada of Sathe which came after rebuilding of the masjid. Baba was then sitting under the neem tree which is now in Sathe's Wada. I saw Baba filling his panthis, (i.e.) lamps with water, instead of oil, after drinking away the little remnant of oil mixed with some water. I saw also his lying on a plank in the Masjid hung up from the ceiling with strings made of slender shreds of cloth. There were lamps on the plank, whereon he lay. No 'bigwigs' were coming then. Whenever I went there, I put up in the house of some villagers. Baba's kindness to me was very great. (Even as she referred to instances, she was overcome repeatedly with emotion, shed tears and had frequent breaks in her narration, being unable to continue it by reason of her feelings). My husband Mr. Borkar never went and saw Baba; but even to him, Baba showed great kindness. In or about 1909 my husband, who was an engineer, was engaged for the construction or repair of a bridge at Pandharpur. His residence was, therefore, at Pandharpur. When he was there, I had gone to Baba at Shirdi and was serving him. One day Baba told me, 'you had better go to Pandharpur and I will go with you' and added that there was no difficulty for him to travel and that I should start expeditiously. So I started. I did not know what had happened there. When I reached that place, I found that my husband was not there, that he had resigned his work there and gone away to Bombay. That information I got there for the first time and I was in great straits and sorrow. I had just a few rupees with me and had taken two companions with me. I had just money enough to take us back upto Kurdwadi. We went there. I had got thoroughly moody and was brooding over the situation. Suddenly a Fakir appeared before me, and asked me what I was brooding over. I evaded replying to him. He told me that my husband was at Dhond and that I should go at once with my two companions to Dhond. But, where was the railway fare to come from, I enquired. Then, he immediately delivered 3 tickets for Dhond and went away. I took the tickets and with my companions boarded the train for Dhond. Meanwhile, my husband was at Dhond drinking tea and sinking into half dozed condition or a reverie. A Fakir appeared before him and said, "How is it you are neglecting my mother? She is coming down by the train in carriage No. such and such" and gave him the number of my carriage. He was startled and got up saying, ' Who is this that is taking me to task?' and looked up. But the Fakir disappeared. When the train arrived, I stepped down and my husband was there to receive me and take me to his quarters. My husband told me of the Fakir's appearance before him and wanted to see a photo of Sai Baba whom I was worshipping. I showed him the photo and he recognised therein the Fakir who came to him. On a Guru Poornima day, before Upasani Maharaj, who is my Gurubandhu, left Shirdi for Kharagpur, Sai Baba asked me to take Pooja Dravya and Naivedya and worship Maharaj. I went and worshipped him, telling him that it was Baba's order and Maharaj did not prevent me from doing that worship. But, after that day, I never again worshipped Maharaj. My attitude towards him is what I should have towards a Gurubandhu. 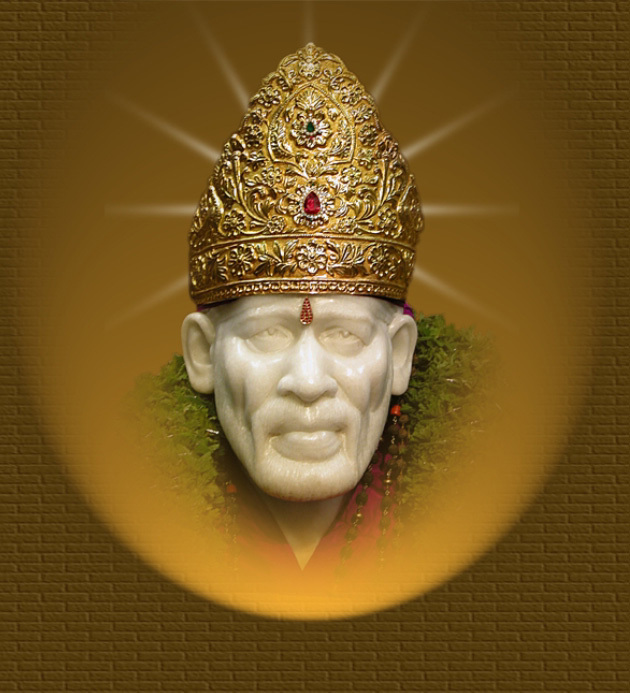 I do not hate him as so many Shirdi people do. Sai Baba has often said that we should not harbour feelings of hatred against any, nor entertain feelings of envy, rivalry or opposition or a combative disposition towards others and that if others hated us, we should simply take to Namjapa and avoid them. But, my attitude towards Upasani Maharaj has been misunderstood by him and others. Two years ago, I went to Sakori to help in establishing a proper arrangement about recent changes in the Panchakanya establishment of his. But, apprehending my attitude to be hostile, he never gave me the chance of a free private talk with him and I returned. Sai Baba's kindness towards me and mine was manifested even in 1918 before his expiry and even afterwards. Some three months before Dusserah of 1918, he was thoughtful of my welfare after he should leave the body. He told me, 'Bai, (that is how he addressed me) you need not hereafter trouble to come and see me here. I am with you wherever you are'. (This lady melts into tears as she narrates this). So kind he was and his words are ever true. I went away then. Just at the Dusserah following, when I was at Panchgani, I got Mr. H. S. Dixit's message that Baba was often thinking of me and that Baba was not likely to survive even for a short time. I went to Shirdi in time to see him pass away. I gave him some water at the last moments, and Bagya did the same. Baba leaned back on Bagya and expired. After this, I visited Shirdi once in 1919, and once in 1933. But Baba, as he promised, has ever been with me and helping me wherever I remain. I have composed some verses and communicated them and my experience to the Sai Lila Masik. In 1921, my husband fell down from a carriage and his leg broke, I took him up and applied Udhi and paste of Biba nut Jongla (ata?) and thaqdipala In three months' time he got alright. In 1921, I also got a child. That was also Baba's grace. In 1918, when I was aged 48 and had not conceived at all, I naturally yearned to have a child, though lay-people and doctors alike would declare conception thereafter out of the question. But Baba knew my desire and in 1918. Baba: Bai, What is your heart's wish ? I : Baba, you know everything. What is there for me to tell You? Baba's grace was shown again at the time of my husband's demise. Two months before that event, Baba was preparing my mind to face that calamity. He appeared in a dream and said to me, 'Have no fears. I will take away Sri Ram'. (My husband's name was Ramachandra). I said, 'Baba, take me away first'. Then Baba replied that there was much work for me to do and I should nerve myself to survive my husband and do the duty allotted to me. I communicated this dream to my husband. He made light of it, saying it was only a dream. That was about two months before the close of Chaturmasya. Sometime later, he developed serious kidney trouble and hiccough supervened. The end was perceptibly drawing near. Then he said to me, that he felt his end was near but that he wished earnestly that he should die after Chaturmasya was over. But at or immediately after he was saying this, symptoms of the close of life were being manifested. His limbs got rigid and he passed into unconsciousness. I prayed to Baba to spare him at least for the remaining days of the Chaturmasya. The next day, he regained consciousness and limbs lost their rigidity. My husband was more cheerful. Then the 7 days or so of Chaturmasya lapsed, Kartik Poornima (1934) came and also pratipada. That day at midnight, he took tea and then told me to go on with arati (of Baba) and to utter Vishnu Sahasranam loudly. I did as directed. This was going on till morning when the doctor came. They were talking hopefully. But I knew that he would pass away by noon or in the afternoon. I gave him Ganges water to drink. He drank and a little later he was saying, 'Sri Ram, Sri Ram'. A chokra came and called him 'Baba'. He got up saying, 'Oh' and as he said 'Sri Ram, Sri Ram', he passed away. I was by his side praying to Baba and Sri Krishna that he may be taken to the divine feet. He thus passed away with full smaran of God and Baba. I saw the grace of Baba in securing for him such a good end. After he passed away, I had to look after my son and this building etc. Some relations were giving me endless trouble and threatened suit etc. So, I had to get Rs. 14,000 to pay it to them to secure this house, etc. from further troubles. Then some evil-minded persons thrust into this house lime fruit charmed, i.e., filled with black magic, so as to do harm to us and to prevent anyone becoming out tenant in this house. Sai Baba appeared to me in a dream and told me of this. I then sent some one to go to Goa to our family deity Devi and there they secured her intervention to break the black magic and spell of our enemies. (alias) Krishnaji Kasinath Joshi son of Kashinath Padmakar Joshi, Joshi Vatandar, Brahmin, aged 70, (10 miles off Ahmednagar), Mirazgaon. I was given a mere elementary Vernacular School Examination education to qualify myself for a School Master's place on Rs. 5 or 7 per mensem. I got trained also for the hereditary duties of the village priest. I did not care for either. We were poor. In these circumstances, I wanted to devote myself to a life of bhakti. I found a Guru in Datta Maharaj, a truly great and Satvic soul. He took me away from time to time and trained me in yoga. Under him I learnt Asanas, Pranayama and the rousing of the Kundalini Sakti. But, in my youthful waywardness, I was not contented with all that and asked my Guru to impart to me the mantras he knew which gave worldly powers (e.g) creating spells and breaking spells, exorcising devils and invoking them &c. The Guru very unwillingly imparted the mantras to me on account of my importunity and I went through the necessary Japa and sadhana. I wore an iron bangle, repeated the mantras as prescribed for the required number of times. I succeeded in getting possession of the coveted powers. I could simply utter a mantra and order the production of sweetmeats, pedhas and the like. And the articles I ordered would at once appear and be filling my hands. These I would show to others and distribute. The pedha etc., I could not use. I could not and should not eat or sell them but I gave them away to the admiring or wondering people about me. I could also destroy the evil spells of others. The production of pedha etc., was not by the use of evil spirits (e.g.) Yakshas, Jinns etc. This latter method is dangerous. It will extinguish one's life. The spirits might even begin to cause physical harm to the man, who uses them. In my case, the articles required were produced purely by mantric power without the use of these evil spirits. When I was aged about twentytwo and fully armed with these magical powers, my Guru resolved to go away from our society into the Himalayas and live there alone right up to the end of his life. He started north and took me with him upto Delhi. There he wished to part company with me finally. As to what I should do after he went away, he told me that there was one Sai Baba of Shirdi, whom he referred to as his elder brother and that I should go to him and do whatever he directs. Saying this, the Guru went away and disappeared from me and this part of the country; and I have not seen or heard anything more of him since. Then (i.e.) in 1908, I went to Shirdi and found Sai Baba. He would not allow me to be with him till I throw away my iron bangle and stop the production of pedhas etc., by mantric means. As his order was strict, I broke and threw away my iron wristlets and stopped my mantric production of articles like pedha etc. To sustain myself I begged food here and there at Shirdi. I had no abode. He ordered me to sit in a corner of the mosque and go on reading Dasbodha during the day, and I did so. At night, I would sleep in any place I could find space to lie on. He gave neither me nor anyone else any upadesa mantra etc. The town people from Bombay etc., were not coming to him then. Only the villagers would go to him now and then, and ask him to remedy their trifling complaints (e.g.) stomach-ache, fever etc. He gave his udhi to all these from his ever-burning fire (dhuni) which he maintained at the mosque. He was not asking for dakshina from all but only a few pice (e.g) 4 or 5 he would ask for and getting these, he might buy fuel for his dhuni or some such article of necessity. As for big people, I remember that Nanasahib Nimonkar was often with him; and as for his talks, I never heard him say anything about Maya or Brahma or Mahavakya tatwas or Viveka, and Sadhana Chathushtya. He imparted faith to those resorting to him with faith, in Ishwara, by exercising his wonderful powers; they would go on with their devotion to their Ishtadevata and finally, he would grant them Sakshatkara of that particular Ishtadevata. As for myself, I stayed three full years at a stretch with him and then went on visiting him during the nine years that followed. During that period of nine years, he told me to see a person with three heads. That of course, I took as a direction to go and see Datta at Gangapur. Every year I visited Gangapur twice, once on Guru Poomima and next on Magha Poomima. Then, once he told me to do 108 parayanas of Guru Charitra, taking three days to finish each parayana. I did this at Gangapur and stayed there 10 or 11 months for this purpose. As for my powers, he had interdicted their use. But, out of his kindness, he gave me some other power. It came about thus. One Ekadashi day, I sat by his side. Baba : What do you eat today? Baba : What does Ekadashi mean? I : It means a day for upavas. Baba : What does upavas mean? I : It is just like rojas. Baba : What is rojas? 'Kanda' means root and usually 'sweet potatoes' and is the food that is eaten (onions should not be taken by the orthodox) on Ekadashi day. Then Baba picked up some onions, evidently having a phonetic equivocation, and told me to eat it. Seeing Baba was persistent and not wishing to run counter to his wishes, I yielded, but added 'If you eat it, I will eat it'. Then Baba ate some onions and I ate some. Then as visitors began to arrive, Baba was enjoying some fun at my expense. Baba : Look at this Bamniya (a contemptuous corruption of the word Brahmin), he is eating onions on Ekadashi day. I began to defend my conduct or justify it. I : Baba ate it and I ate it. Baba, at one stroke, was having humour at my expense and the manifestation of his powers and he declared that he had not eaten onions. At once, he vomitted out something. That was not onion but sweet potatoes ( Ratale). Baba :See, it is not onion but sweet potato I had eaten. Now here was my opportunity. By his miraculous powers, he had produced sweet potatoes from his mouth. I treated it as prasad, fell upon it, seized it with my mouth and ate" it up. Baba abused me, kicked me and beat me. But I did not mind at all in the least, as I was overjoyed at having got his uchchishta as prasad. I knew also that as with Akkalkote Maharaj, so with Baba his beating and abuse were auspicious and beneficial. If Baba kissed a man and sent him off, as he did sometimes, that was not auspicious. But in an instant, Baba's mood was changed. His anger, real or pretended, gave way to warm appreciation of my unquestioning faith in him and he lovingly placed his hand on my head and blessed me. He said that I would thenceforth have the power by barely thinking of him and holding up my palms, to pour abundance of udhi from my palms. This miraculously produced udhi could be distributed by me to those who have faith and want prasad from me, and the udhi would remove troubles. This power was at once vested in me and did not require any japa on my part. I am since then using this power to grant udhi prasad to those who want it. This udhi will remove various evils and can be used. It might even cure lack of issue. But, in cases of menstrual disorder, it would be better to see the issueless lady, before deciding on the remedial measure necessary. As for the old power of producing pedhas etc., I am mostly obeying Baba's interdictory order. But occasionally, I have yielded to the importunity of people, who ask me to produce pedhas etc. This power of counteracting evil spells and black magic I have exercised without compunction. Within the last month Mr. Rajmachikar's grandson was getting mysterious 'biba marks' (i.e marks of the marking-nut) on his body or on his clothes or bed clothes without any visible cause. That is a well-known species of black magic and there are specific mantras (that I have practised) to counteract these and other similar evil practices. I was sent for and I came and went on with these counteracting mantras and my Datta pooja, arati etc., at Rajmachikar's. That checked the black magic. On 18-7-36, Saturday, when, as usual, the magical biba marks should appear, none appeared and the evil spell is now counteracted. After I stayed three years with Baba, my father came up and took me. At my departure, Baba said, 'Next time when you come, come two of you'. A little later, I and my father went to Shirdi and paid our respects to Baba. Then he said that by his pharse 'come two' he meant that I should marry and come with a wife. Soon after my father took me from Shirdi, I had married a wife; yet still I liked to go and stay with Baba. So, I went to him alone, and stayed with him for a long time, though married. Then my wife came up and took me away with her. Now I have children and grandchildren. On one of my visits, Baba told me, "Why do you take the trouble to come up all this distance to see me? I am there". He then gave a specific description of a plot of land in my village as his residence. I went up later and after clearing the prickly part on it, I found there was a samadhi there. I bought up that land and at that samadhi, I have my worship. There Baba gives me darshan. So I am not going to Shirdi after that - except for the Ramnavarni. The power of producing udhi etc., which I have got is communicable by me. But the would-be recipient of the power would have to undergo a rigorous course of an austere discipline (e.g.) six months of absolute brahmacharya (i.e. continence). The name of the saint that appears at Mirazgaon is Pakir Shah. He lived 200 years ago and held the land in which his tomb now exists, as an inam grant from the jagirdar. I now own that land. He has no disciples or descendants. He is different from Sai Baba. He occasionally talks of Sai Baba. He talks very little. It is mostly darshan of him we get. Now, during the Chaturmasya, even darshan is stopped. We can now hear his voice but not see him during these four months. (Just as he entered to-day at 10 p.m into Narayan Rao Bhide's room, Kusa Bhav said, 'here hold' and produced vibhuti or udhi and applied it to Mr. Bhide's forehead and gave bits to others). The production of this udhi is not the result of any mantra, but is the result merely of remembering Sai Baba. The former power of producing pedha is different. The pedhas. I produced are merely property fetched from elsewhere. That power did not include the production at will of udhi. Now it is production (by thinking of Sai) of udhi. Foremerly it was merely transferring pedha, etc., from one place to another. This Pakir Shah does not give one any help, by his speech etc., in one's progress in Jnana or bhakti. It is merely to inspire faith that he appears. He is to be seen and worshipped or bowed to. His statement about Sai Baba is that Sai Baba is alive. He gives no details as to what form or what condition Baba is in, whether Sai Baba remains only as a spirit or has taken fresh form in some human body, etc. He says that he and Sai Baba are inter-related as persons of the same order or set. Megha was already a Shankar devotee. When he got attached to Sai's feet, he looked on Sainath as Shankar! He was his Umanath. Megha continuously chanted "Sai-Shankar" day and night, and his inner-self was merged in this form. His mind was pure and free of sin. He became dedicated devotee of Sai. He felt that Sai was Shankar himself. His chant of "Shankar-Shankar' reverberated. He did not believe in any other deity. Worship of Sai was worship of God to him. Sai was his Girija Raman. With this idea firmly rooted in his mind, Megha remained always happy. Shankar likes 'bel' leaves; but there were no 'bel' trees in Shirdi. Therefore, Megha walked for koss-and-a-balf to fulfill his desire of offering these leaves. For him a koss or two was nothing. He was ready even to cross a mountain for 'bel', for he would have fulfilled his desire to do puja as he wanted it to be done. He would bring the 'bel' from long distances, get together all the Puja paraphernalia completely, and then worship all the village deities, one by one. He would offer to all according to the proper rituals. After that he would come immediately to the Masjid, loving bow to Baba's seat, wash his feet etc. and then drink the water as 'tirth'. Further stories about Megha will be delightful to listen. They will show Sai's all pervasiveness and reverence for the village deities. On one Makar-sankranti day, he felt like anointing Baba's whole body with sandalwood paste and then giving him a bath with Godavari water. He pestered Baba for permission, so Baba Said : "Go and do as you desire." So, immediately Megha took a copper vessel and set out for the water. Early in the, morning, before sunrise, Megha took the empty copper vessel and without an umbrella or chappals, set out to get water from the Godavari. The entire distance, for coming and going, was about eight koss. It did not even occur to him to think of the exertion and strenuous efforts he would have to make. Megha was not at all worried about this. He set out on getting the permission. When there is a strong determination there is a great joy in performing the task. When he thought of giving a bath to Sai with the Godavari water, he was not bothered about the strenuous efforts or the exhaustion. His firm faith was his support. So be it. He brought the water and poured it into a wide-mouthed copper pot. He began to persuade Baba to get up for the bath, but he did not agree. "The noon arati is over and the people have gone to their homes. All the preparation for the bath have been made and it is afternoon", said Megha. Seeing Megha's great insistence, then Sai in sport and as if in a mock fight, took Megha's hand in his hands and said: "I do not wish to bathe in the Godavari waters? What is it to me?" But Megha was not prepared to listen at all, since he believed that Baba was his Shankar. He only knew that Shankar is pleased with Ganges water. He said : "Baba, today is the, festival of Makar-sankranti. When Shankar is given bath with the waters of the Ganges, he is propitiated." Then, considering his love and his adamant resolution, Baba said: "Fulfill your wish," as Megha was pure of heart. After saying that he got up and sat down on the low stool made ready for the bath. He bent forward his head and said : "Pour just a little water. Out of all the limbs the head is the most important. Pour a little water on it. It is as good as having a full bath. At least listen to that much." Agreeing to do so, Megha picked up the pot. He was so overwhelmed with love while pouring it on the head that he emptied it completely while shouting "Har Ganga", and poured it on the whole body. Megha was greatly joyful. "My Shankar has bathed with his clothes on" he said, as he put down the empty pot. When he looked he was greatly surprised. Though he had poured the water on the whole body, only the head was wet. All the other limbs were absolutely dry. There was not even a drop of water on the clothes. Megha's pride was crushed. Those who were around were surprised! Shri Sai thus gratifies the fond fancies of his devotees! There is another story of Megha, which will please the listeners very much. Seeing Sai's love for his devotees, the listeners will be pleased. A big picture of Baba, which Nana (Chandorkar) had newly given, was placed in the wada by Megha and he worshipped it regularly. The real image at the Masjid and the exact replica in the wada, were worslupped with Aarti, at both the places, day and night. When about twelve months had passed in doing this divine service, when Megha was awake early one morning, he saw a vision. Megha was lying in bed and though he had his eyes close he was fully awake and he saw Baba distinctly. Baba, too, was aware that he was awake. He threw consecrated rice on the bed and said : "Megha, draw a trident", and then disappeared there and then . Listening to these words of Baba, Megha opened his eyes with great enthusiasm. He was very surprised to find that Baba had disappeared. Then Megha looked all around. There were grains of rice scattered everywhere on the bed. The doors of the wada were closed, as earlier. Hence he was confused. He went to the Masjid immediately. While taking Baba's Darshan, Megha told him the story of the trident and asked permission to draw it. Megha related the vision with all details. Baba said: "How can it be a vision? Did you not hear my words? I told you to draw the trident. Are you trying to test my words by calling it a vision? My words are always very profound and not a syllable is empty." "I too felt this at first that you had woken me. But not a single door was open. That's why I felt differently", replied Megha. Listen to Baba's answer : "I do not need a door to enter. I have no form or dimension. I am always everywhere. For the one who places his burdens on me and has become one with me, I manipulate all his actions like the actions of a marionette." So be it. The subsequent marvelous narration about the purpose of the trident should he heard with great attention. The connection will become evident. On one hand, Megha returned and began to draw the trident on the wall, near the picture in the wada. He outlined the trident in red colour. The next day, a Ramdasi devotee from Pune came to the Masjid. He did obeisance to Baba with love and presented him with a 'Lingam'. Just then Megha too arrived there, and an eight-fold obeisance to Baba. Baba said : "Here Shankar has come! Now, you look after him. Upon getting the 'Lingan' in this manner, immediately after the vision of the trident, Megha kept on gazing at the 'Lingam' overcome with emotion. Kaka Saheb Dixit too had another marvelous experience of the 'Lingam'. Listen with reverence to everything. Your faith in Baba will become firmer. While Megha set off from the Masjid with the 'Lingam', Dixit was engrossed in chanting the Lord's name, after his bath in the wada. Wiping his body with a clean, washed cloth, a towel covering his head, he stood on a stone concentrating on Sai. He was chanting the Lord's name, as per his usual practice with his head covered. He then had a vision of the 'Lingam'. Dixit thought : 'Why did I today get the darshan of the 'Lingam' when I was chanting the Lord's name?' There was Megha, in front of him, looking very gratified. Megha said : "Look, Kaka! Look at the 'Lingam' that Baba has given". Kaka was surprised and pleased to see this particular 'Lingam'. It was of the same shape, size and markings like the one that had appeared in his meditation, just a little earlier Dixit was delighted. Be it so. Later, after the drawing, of the trident was complete, Sai got Megha to establish the 'Lingam' near the picture. Since Megha liked to worship Shankar, by presenting him with the Shankar 'Lingam', Sai strengthened his devotion. Such are the marvelous narrations about Sai ! Sri Radhakrishna Swamiji was born in Poyyamani Village in Kulithalai Taluk of Trichy District of Tamil Nadu on 15th April 1906. He was the fifth child of Sri Pudukkudi D. Venkatarama Aiyer and Smt. 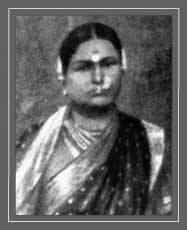 Lakshmi Ammal. Even as a child, young Radhakrishna had developed Psychic power and divine influence. He was a nature lover and it accentuated and kindled his spiritual thirst and development. He began meeting Sadhus and Holy Persons and visited temples far and near besides reading books on religion and the great saints and seers of India. The Kanchi Mutt and Kanchi Acharya had a great influence in moulding Radhakrishnan's personality. When one of his brothers was in Poona, young Radhakrishnan stayed with him and made extensive tours of religious places in and around Poona. He lived in one of the caves for 48 days and on the 46th day, Dattatreya appeared before him and asked him to remain in the world helping others. Radhakrishnan came to Ooty in 1921 and he was there till 1942. He had abandoned his studies. He stayed with his elder brother. The two brothers used to go on long walks and had discussions on spiritual matters for hours together. He used to spend some time daily in the Shiva temple built by the family along with his family members. He used to identify himself with Radha and Krisha and Andal and taking their roles he would dance in ecstasy during Bhajans. He loved music and he used to sing Thyagaraja and Purandhara Dasa "Kirthans". He was a lover of Astrology. He widely read books on saints like Raghavendra, Sadashiva Brahmendra, Chaithanya Mahaprabhu etc. He met Ramana Maharshi and Seshadri Swamigal at Thiruvannamalai. The latter gave Radhakrishnan three stones and asked him to cook and eat them. The former interpreted this that he should go beyond the realms of "Sattva", "Rajas" and "Tamas", to become a "Gunatheetha". 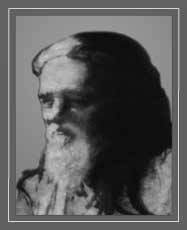 In 1927, he met Narayana Maharaj of Khedgaon at Ooty. He initiated him into "Datta Mantra". In 1942, he met Sri Narasimha Swamiji and his search for the "Guru" was over. He became a spiritual heir to Sri Narasimha Swamiji. In 1927, he married Parvathi-a relative from his mother’s side. He was against marriage but submitted to parental pressure. He led a family life which was like a drop of water on the lotus leaf. When he took Sanyas many years later the shock was severe to his wife and the family but they accepted the inevitable. His wife, who led a secluded life, never met him again and passed away in 1979. There was a deep Psychological Crisis in his life during 1936-42. He had even contemplated suicide while traveling on a train from Trichy to Madras. As the train was crossing the Coleroon River near Chidambaram, he opened the door and was about to jump into the river when he felt somebody was pulling his back. He saw an old man with a headgear asking him not to do it as he had a mission in life. Later, he realized that it was Baba. In 1942, Radhakrishnan met Sri Narasimha Swamiji in dramatic circumstances. It is not known when exactly Radhakrishnan came to Madras after he accepted Sri Narasimha Swamiji as his Guru. It maybe in 1943 or 1944. He was a voracious reader and his favorite haunt was the Theosophical Society at Adyar, Chennai. He used to practice meditation and a Sanskrit book "Mantra Mahodari" was his constant companion. He supervised the accounts of All India Sai Samaj and helped Sri Narasimha Swamiji in other ways in his personal and public work. He was a man who never pushed himself up. His surrender to Sri Narasimha Swamiji was total. "Whatever Narasimha Swamiji said was law to him". In 1952, Sri Narasimha Swamiji deputed Radhakrishnan to Bangalore for Sai Prachar work in Karnataka. It was in 1953 Sri Narasimha Swamiji conferred the title "Saipadananda" on him. That was the Guru's accolade to his devoted disciple. The Guru attained "Nirvana" on 19.10.1956 and on that Poornima Day transferred all his "Spiritual" powers to Radhakrishnan. Sai Baba gave Self Realization to Sri Narasimha Swamiji on 29.8.1936. That Sai treasure was given in toto to Sri Radhakrishna Swamiji on the day Sri Narasimha Swamiji cast off his mortal coil. Sri Radhakrishnan Swamiji arrived in Bangalore in 1952. By 1956 Swamiji shifted his lodging to an upstairs room in a house near the N.R. Colony bus stop. This also became the home of Sai Spiritual Centre and here Swamiji lived for about seven years until a permanent building for the centre was constructed. A retired official of the Mysore Government, Sri Domlur Krishna Murthy, had earmarked a plot of land of 1000 square yards in Thyagarajanagar for a building to propagate the teachings of Sai Baba. Sri V.S.Sastri, who held the site in trust, had collected some funds and had laid the foundation for the construction of the prayer hall with two rooms. Impressed by the activities of Sai Spiritual Centre under the guidance of Sri Radhakrishna Swamiji, he handed over the site to Swamiji in 1961. Funds for a building on the site came from devotees all over India. The building was formally opened on June 17, 1965. The centre was registered on May 6, 1970. May the liberated redeem others. May none fall on evil days. Swamiji lived a full and active life. He was constantly travelling and propagating Sri Sai Baba's Teachings. He was in tune with Sai Baba all the 24 hours and his actions were in response to his motivations. There is hardly a devotee of Sri Swamiji who has not experienced his grace either spiritually or in material benefit. The devotees continue to receive it even after he left his body. Swamiji was waiting for "Uttarayana' to leave his body. January 14, 1980 was the day he had fixed for merging with Sai Baba. He had joined devotees in chanting "Sri Vishnu Sahasra Namam" and, "Om Namo Narayanaya". Swamiji was conscious till the last and the final moment came at 10.40 p.m. as he drew his last breath with a farewell benediction. He was cremated the next day with full honours amidst chanting of Vedic Hymns. Although he is not present in flesh and blood, his devotees have felt his spiritual presence and his guidance, in times of distress and want. Many have spoken of seeing him in their dreams, encouraging them and advising on their problems. His guiding hand and loving eyes hover over every home of his devotees reminding us of Baba's Words: "Why fear when I am here". Page created in 0.291 seconds with 54 queries.